Our HOME FIELD has just been confirmed!! 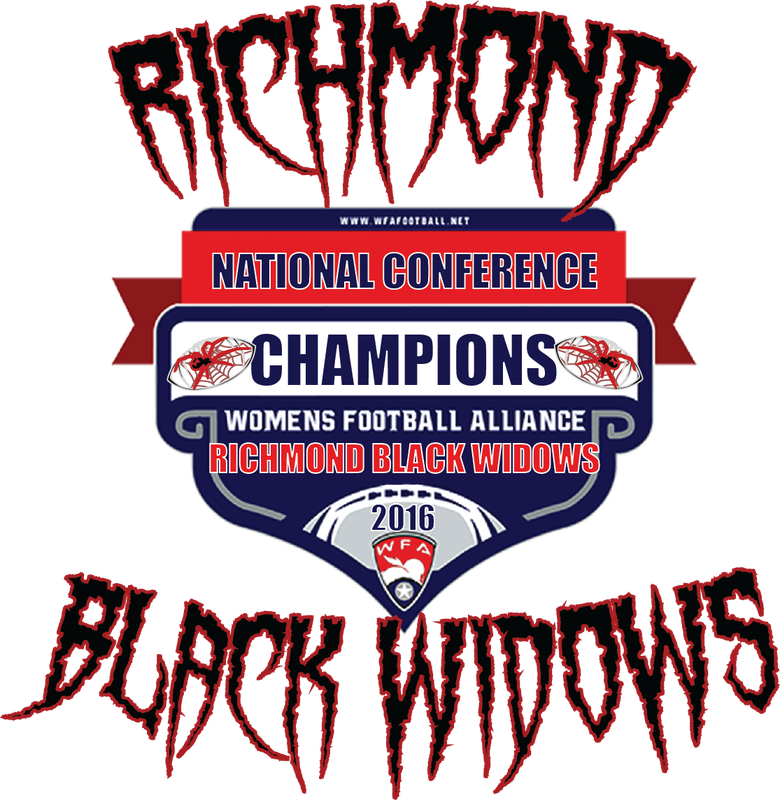 On Saturday, 3/25/2016, Richmond's FIRST women's football team, the Richmond Black Widows, made #HISTORY, beating the Keystone Assault to become the Tier III National Conference Champions and secure their trip to the Tier III National Championship in Pittsburgh in their inaugural season! In a nail-biter that came down to the last 10 minutes of the 4th quarter, the Black Widows were in a battle of defenses, with neither team scoring in the first half. The Assault was the first to draw blood and with only 9 minutes left on the clock the Black Widows tied the score. 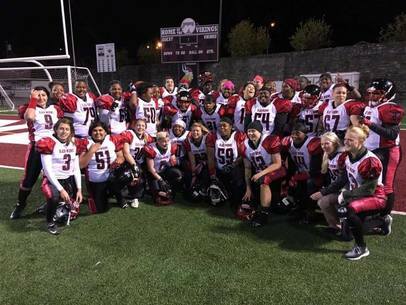 They quickly followed with another touchdown and the Black Widows defense, which has been a force all season, held on to clinch the title and the trip to Pittsburgh. Would you like to be a part of history? We need YOUR help to get our FIRST season in the history books. ANYTHING will help! Do you go to Starbucks every morning? How about eating out at lunch? Just make a small change for even 1 week and you can donate $50 or more! Have you ever wanted to play football but lacked the opportunity? Football is the only sport that needs people of all shapes and sizes to make the game work. We're always looking for women who have a passion for the game. No previous experience required. 18 yrs old & up (17 w/parental consent). All we ask is that you come ready to learn and work! Please bring your completed Tryout Form to your tryout. **UPDATE** As of January 15, 2017, we will no longer be accepting players for the 2017 season. If you can't make a tryout by then, feel free to contact us about helping off the field in preparation for the 2017 season. Up first, Monica "Mo" Southall. Our rookie Lineman Captain, Monica is looking forward to putting her stamp on the field.